I thought it would be appropriate to update the blog stats, so this month can be compared with last month. I don't think this will become a regular thing, but this month has been particularly interesting. There are 158 total posts, which is an average of 17.2 posts per month. And there are a total of 6,514 views (as of the 28th October 2012). Considering the inside a mortuary post was only posted mid last month it has become surprisingly popular. In about 40 days it has gotten 186 views and brought a serious amount of traffic to this blog. People not only look at this post but go on to look at others as well. Now when you search "inside a mortuary" on google this post is near the top of the results. So thank you to everyone who viewed this post and made it so popular! This one post has been a big factor in getting more traffic to this blog. Nothing here was particularly surprising or interesting here. the views were in proportion to the blog. However there was more interest in the 'funeral fun' page than last month. It moved from number 3 to number 1. I was surprised by the surge in Canadian views. They went from well under 1% (less than 202 total) to over 140 in a month. It was also odd to see a drop in overall Australian views. Especially at a time when I am engaging with more Australian funeral companies. Instead the US and UK made a larger portion of the total views this month. Currently there are 6,514 total views of this blog, an average of 723.7 per month (as I write this). 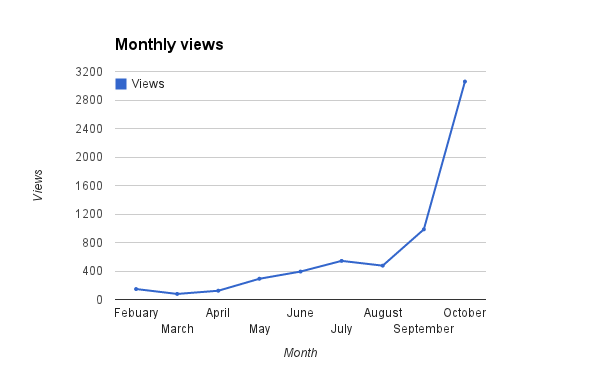 Overall this month has been a massive increase in views. Almost doubling total views in just a month, and mostly due to the 'inside a mortuary' post. It was kind of tricky to write this post. 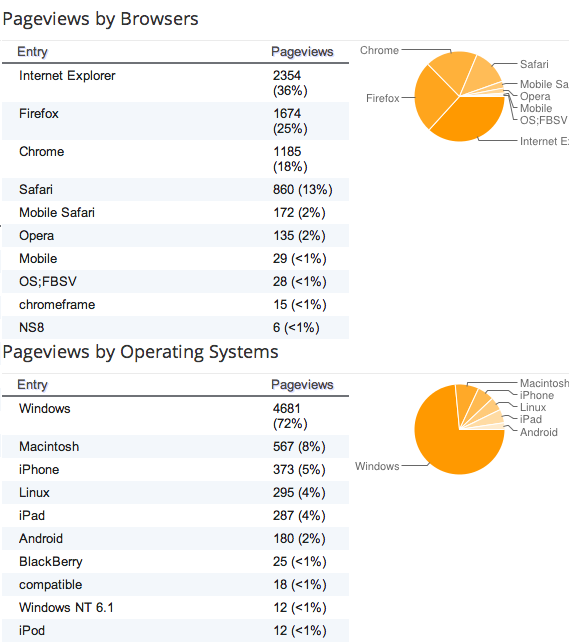 Every time I changed the page more people had viewed the blog, thus changing the numbers. But it is nice to see the blog so popular that I simply refresh the page and find a new view or two. Also, as someone pointed out in an email the blogger stats are not perfectly accurate. I am well aware of this, to me the stats aren't exact but are an indication. Unfortunately blogger does not record everything, it has a limit of about 10 (if I remember right) at a time. So it can only record 10 of a single thing at a given time. For example 12 people might view the blog, 10 from the UK and 2 from the US, but blogger will only record 10 people from the UK. This means sometimes stats do not match up perfectly, nor do they record everything exactly. But for my purposes this is perfectly fine.